Star-Lord, Gamora, Drax, Rocket and Groot are back in the first promo for "Marvel's Guardians of the Galaxy." The animated series debuts on Disney XD on September 26. The gang has to keep a powerful artifact out of the wrong hands in order to save the universe. Take a look at the first teaser below. 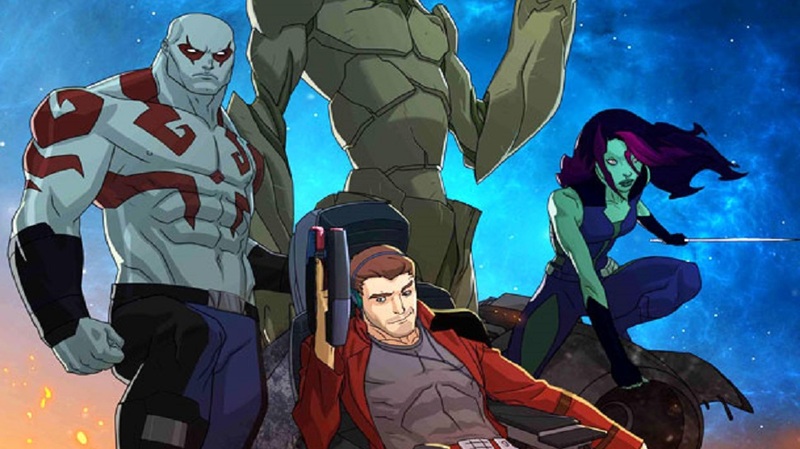 The Guardians of the Galaxy return for more action-packed adventures in the brand-new "Marvel's Guardians of the Galaxy" animated series! Every Saturday night in August, learn more about each of the Guardians with shorts airing on Disney XD, then catch a sneak peak at the first episode Saturday, September 5 at 9:00 PM on Disney XD!